The odds of being unable to work because of sickness or injury are greater than the odds of a premature death. The odds of being unable to work because of sickness or accidental injury are greater than the odds of a premature death. That's unlikely to be something millennials ever think about when planning for retirement. But they should. And that means they should consider disability income insurance, as boring as it sounds. To be sure, young workers – if a disability arises from a work-related accident or illness – will likely receive workers’ compensation. And many employers do provide group short- and long-term disability coverage as a benefit. But they might also need to purchase an individual disability income policy to supplement a group plan or provide additional coverage if a group plan is unavailable. So, what should millennials consider? Your best asset when you’re a young worker is your earning potential. “Millennials often need to be reminded that their ability to earn an income is their biggest asset,” says Jennifer Lane, a certified financial planner with Compass Planning Associates. Consider: A 30-year-old earning $100,000 a year will gross $3.5 million over the course of their working years, according to Katz. And if that money cannot be earned due to sickness or injury, the potential for financial failure rises greatly. “Without income, one cannot spend, save, invest or donate,” he says. In general, insurance companies limit the amount of coverage to replace income. Policies typically provide about 66 percent of gross wages. According to Katz, the right benefit amount to purchase is straightforward. “It would be any portion of your current paycheck, including commissions and bonus, not covered by your employer’s benefit plan,” he says. If you have an employer-sponsored plan, learn what it covers as well as the definition of what "covered earnings" is, says Katz. Determine, too, what percentage of your earnings is covered as well as the monthly cap. Check whether income you receive from your disability income insurance policy is taxable or not. Once you do all that, you should be able to design a plan to "fill the income gap" of your current earnings not covered by your employer plan, says Katz. 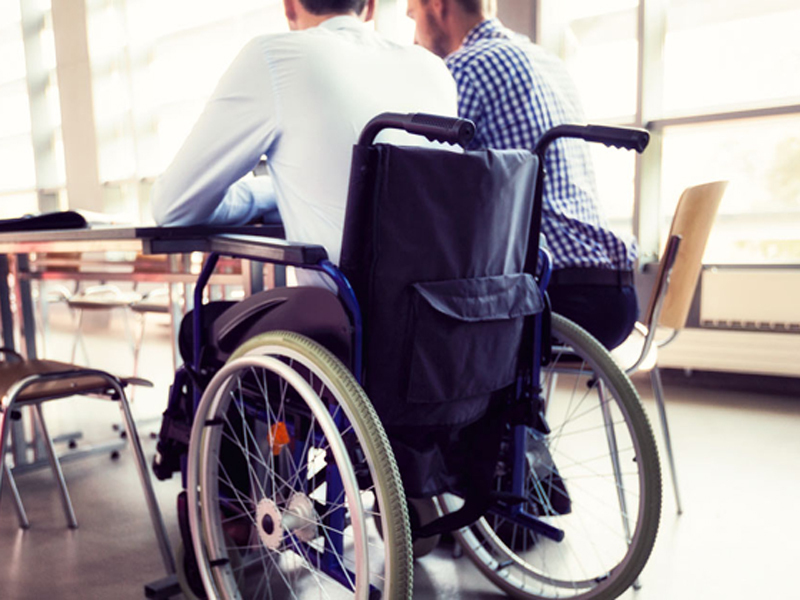 If your employer doesn’t offer a disability income insurance plan, your personal policy should seek to cover as much of your income as possible, says Katz. There are many definitions of disability, including own-occupation, modified own-occupation, any-occupation, and modified any-occupation. According to Lynch, “own-occupation” means you will be considered disabled if you are unable to perform each and every responsibility of your current position. Katz also says finding a contract that offers a "partial" benefit is very important under definitions. A "partial” benefit, he says, will pay you if you cannot work and suffer a loss of income as a result of being unable to perform at prior capacity because of injury or illness. The elimination, or waiting period, is the stretch of time – typically 30 days to one year -- you have to wait before receiving income from your disability insurance plan. According to Katz, choosing an elimination period comes down to two issues: How many days of income are you able to cover from your personal resources. And cost. Equally important, purchase a plan that pays benefits for as long a period as possible – five years, 10 years, to age 67, or lifetime. “Coordinating your elimination period and benefit payment period should be customized based on your financial profile and the other components of the long-term disability insurance plan to protect as much of your earnings as possible, for as long as possible,” says Katz. You have to medically qualify for disability income insurance. “So, the younger you are, the better the chances of being unsuccessfully underwritten,” says Lynch. Katz also notes that today's long-term disability plans protect many attributes of one’s personal and business economy. “Plans and plan riders are available to cover student loans, retirement plan contributions, business overhead expenses, business buy/sell arrangements, inflation riders and catastrophic coverage as example.